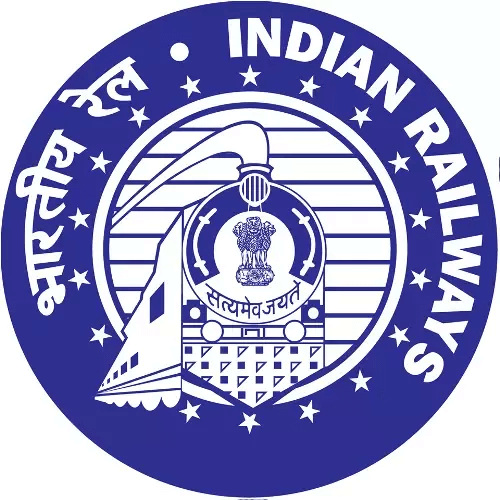 Enter your 10 digit PNR number to check Indian Railway train live PNR status online. Enquiry IRCTC PNR Status and get prediction for waitlisted tickets. PNR is a unique 10-digit number which is provided against every train ticket that is booked across India. Each PNR numbers provides a variety of information to ticket-holder(s). 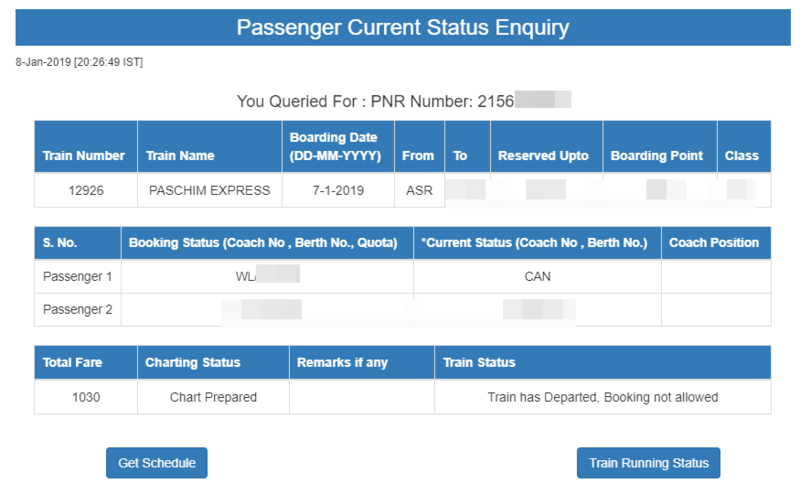 The PNR Status information includes ticket booking status (confirmed/waiting list/canceled), departure and arrival time, details of the train, seat number, fare paid by the passenger for the seat. When group booking is done, then a single PNR may be provided to up to 6 passengers. How to check IRCTC PNR status? Once there, enter the PNR No. of your ticket. You will find it on the top left corner of the ticket. For verification purpose, you will have to provide captcha. After that, your PNR Status will show up which will contain a variety of information regarding your train ticket booking. How to check PNR status via SMS? Although you can check the PNR status for free by following the aforementioned method, however, you also have the option to check the status of PNR No. by SMS. Type “PNR (10-digit PNR Number)” and send it to 139. *Standard SMS charges would be applied. How to predict confirmation chances for a waitlisted ticket? Whilst booking a ticket on the Indian Railway network, there is a pretty good chance that you will get a waitlisted ticket as it is pretty common. When all of the RAC seats are sold then the passengers are given Waiting List tickets. If you are on the Waiting List then the chances of you getting a confirmed seat are if other passengers cancel their tickets. Ticket cancellations by other passengers will increase your chances of getting confirmed tickets.